Most attorneys get their first experience in our legal system in law school, then learn how the system really works through years of practicing in courts and observing experienced attorneys. Towana Tate’s professional career started out with over twenty years’ experience working in Wayne County Circuit Court before she went to law school. During over 25 years of employment at the court she observed thousands of hearings and hundreds of trials. 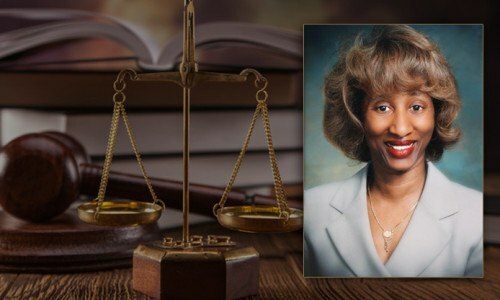 She was thus positioned to do what no law school could teach, which was to compare the effectiveness and style of the dozens of judges, hundreds of attorneys and countless witnesses..
Towana was ultimately promoted to Department Head of the largest Jury Services Department in Michigan. Her unique experience resulted in the opportunity to testify before the Michigan State Senate on much needed jury reform. Through it all she had contact with approximately two hundred and fifty thousand jurors and was amassing input from them about the positives and negatives of their court experiences; as well as their thoughts regarding the credibility of witnesses, attorney presentation and the actions of the judges. There are over 38,000 licensed attorneys in Michigan. Towana is listed as a member of The National Trial Lawyers Association’s Top 100 Trial Lawyers in Michigan. She also serves as a panelist on the Attorney Discipline Board, an agency which reviews grievances that clients file against attorneys. These panels ensure that representation from the legal community is fair and equitable to both the clients and the attorneys. Towana has become a fearless advocate for seniors, youth and those with special needs who might have otherwise been overlooked in an overwhelming legal system. Her cases focus primarily in the areas of personal injury and probate. Towana is licensed to practice in all levels of the Michigan State courts, Federal District Courts, the U.S. Appeals Court for the Sixth Circuit and the U.S. Supreme Court.